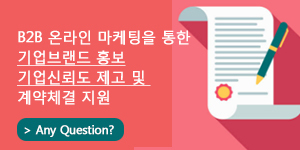 DaeHan Synthetic Fiber Co., Ltd.
Irea Chemical Enterprise Co., Ltd.
Shin Han Art Materials Inc.
Shinjin C & Tech Co.
About 4,000 South Korea companies’ information has been registered in the Chemicals, Pharmaceuticals & Plastics category of Kompass worldwide database. Among those above, this sector is all about Chemical base materials business which represents large activity contents within our database. You can get not only company’s summary information but detailed info such as contacts, products, catalogues, etc of Chemical base materials industries you are looking for. ﻿Explore easily Chemical base materials companies specialized in domain with the Kompass international data base and its search options. Access to strategical data about Chemical base materials companiesexpert in metier with the Kompass worldwide data base and its search options.